Clyde Everett Duncan passed away on Saturday, October 24, 2015 in McDonough, Georgia. He was born on December 2, 1924 to Thomas and Edith (Phillips) Duncan in Mulberry, Kansas. He was named for his uncle Clyde U. Phillips, a longtime Kansas educator. He graduated from Mulberry High School as the class valedictorian in 1942. Clyde was drafted into the Navy on July 6, 1943, where he reported to the Naval Training Center at Farragut, Idaho for boot camp training. After completing his training he was assigned to the Naval Training School at the University of Idaho, Moscow, for radio school training. It was during this time that he met his future wife, Betty Lucille Torgerson of Lewiston, Idaho. He was then assigned to Bainbridge Island, Washington for additional training before being sent to Radio City located on Adak Island in the Aleutian chain. Here he served as a radioman 2nd class, code interceptor until he was honorably discharged on April 6, 1946. He and Betty were married on April 2, 1946. They were married 63 years until her death on April 12, 2009. 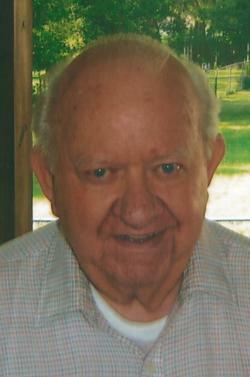 Following his discharge he served as City Clerk for the city of Mulberry for three years. He joined Hagman’s Candy Company and worked there as comptroller from 1950-1987. Following this he worked at PSU in the Office of Information Systems for 14 years. He also prepared income taxes for H&R Block for 14 years. He was a charter member of the Mulberry Lions Club and a long-time member of American Legion Post No. 64. Survivors include two daughters, Becky Keith Stahl (Bob) of Pittsburg and Barbara Bird of McDonough, Georgia; three grandsons, Ryan (Audra) Keith of Snowmass, Colorado, Scott Keith of Kansas City, Kansas, and Jeff (Linda) Bird of Atlanta, Georgia; and seven great-grandchildren, Jordan, Logan, and Avery Keith of Snowmass, and Wesley, Arianna, Emma Bird of Atlanta, and Aaron Easler of Carrolton, Georgia. He was preceded in death by his wife, parents, a brother, Tom and a sister Coleen and two half-sisters, Nellie and Nydene. He is also survived by three nephews, one niece, three step-grandchildren and seven step-great-grandchildren. Graveside services will be 2:30 p.m. Thursday (October 29) at the Garden of Memories Cemetery with Father Larry Parker officiating. As a proud veteran of World War II he will receive military honors from the Navy Funeral Honor Detail. The family will receive friends from 1:00 – 2:00 P.M. Thursday before the service at Brenner Mortuary, where friends may call after 10 a.m. The family suggests memorials to the Alzheimer’s Association. These may be left at or mailed to the Brenner Mortuary, 114 East 4th St., Pittsburg, KS 66762. Online condolences may be left at www.brennermortuary.com. Arrangements are under the direction of the Brenner Mortuary, Pittsburg, KS.